In the previous two videos, I’ve showed you how to do Test Automation for SharePoint using Coded UI Tests in Visual Studio 2012 Premium or Ultimate. I’ve also showed you how to run your coded UI test multiple times with different sets of data to test different conditions “Data-driven Coded UI Tests”. Today, I’ll tackle another area which is Manual testing. In today’s video, you will learn how to use Microsoft Test Manager 2012 to author a manual test case for your SharePoint Application and take advantage of test parameters. 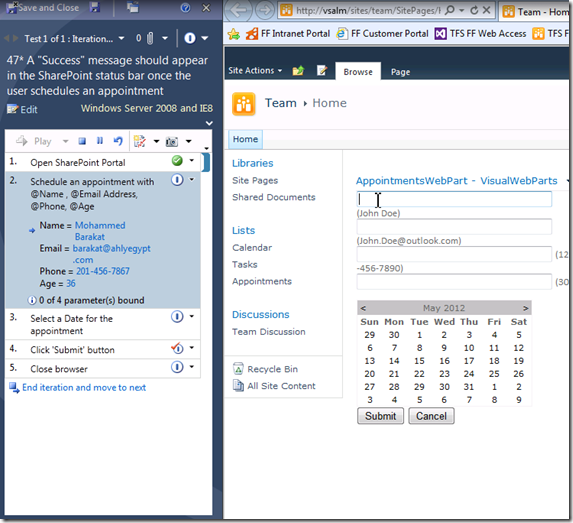 I will then run this test case using the Microsoft Test Runner against my SharePoint Application. While running this test case I will capture an action recording which can be used to take advantage of Fast Forward for Manual Testing, to quickly re-run test steps or even entire test cases in the future “Fast Forward for Manual Tests”. You can watch the video here. 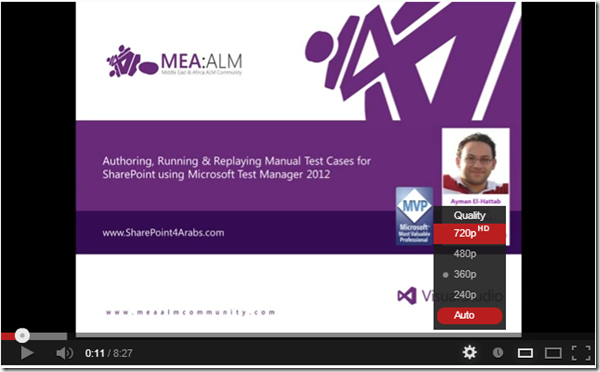 Previous Post[Arabic Video] Data-Driven Coded UI Testing for SharePoint using Visual Studio 2012Next PostSharePoint Testing & Troubleshooting–What’s Next ?